Silvia Olari is an outstanding singer/songwriter who has had considerable success in Italy where she was signed by Warner after reaching the final stages of Amici, an Italian TV talent show along the lines of many of the shows we see on the TV in the UK. Now living in London she has teamed up with music director Romano Viazzani and ensemble to bring her fabulous music to the the UK. 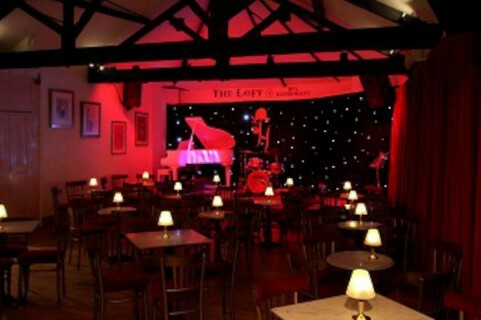 Some of her songs have been already successfully translated into English and her UK full concert debut will take place at Brasserie Toulouse Lautrec, 140 Newington Butts, Kennington, London SE11 4RN on the evening if the 18th April 2015. Line up will include Silvia Olari on vocals and Piano, Romano Viazzani on accordion, Nick Pini on Double Bass and TBC on drums. Music will feature many of Silvia’s own songs in English and Italian as well as songs by other composers. Brasserie Toulouse Lautrec is a wonderful French restaurant with a lovely upstairs cabaret room. One could even go and have supper in the restaurant then attend the concert afterwards. Don’t miss this concert. It promises to be a real treat. To give you a taster here is one of her outstanding songs: Inaccettabile here performed in it’s original Italian form.